Fancy ordering a wild Smart this Autumn? 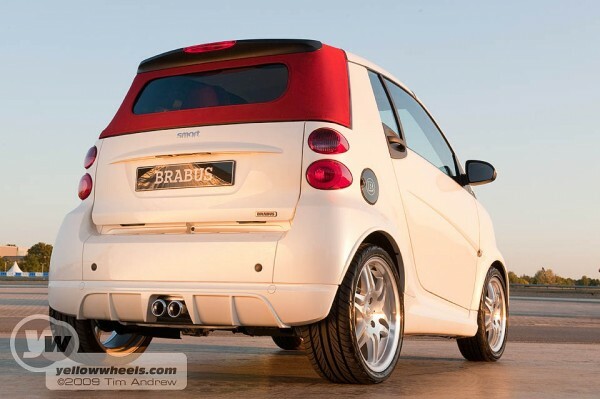 Brabus has a new range of styling and customer options for you to order. There’s something special about Smarts: they appear to transcend normal car buying patterns, and instill a loyalty and pride beyond their price. If you need evidence of this, come back here shortly when we’ll have a flowery report of our day at the 2009 Smart Festival. 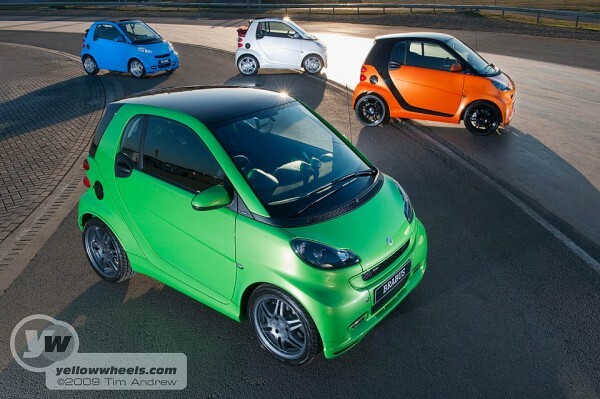 Smart used the occasion to launch it’s “Tailor Made” range of Brabus themed specials. 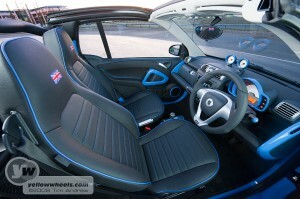 These are not just trim upgrades, but full panel colour choices and interior finishes with themed options, such as the “Campbell Blue” shown here, celebrating the iconic blue of the land speed record cars built and tested at the Brooklands workshops right next to Mercedes World; venue of the Smart Festival. Choose your wheels and spoilers, (full screen) satnav, exterior downlighters, daylight running lights, you name it. You can even have a union jack embroidered in your leather seats to go with your German British car. Lastly spec your gear knob. These must be extra special, as someone swiped one off the green display car, right during the Festival ! 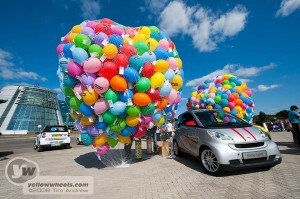 smart is adding a huge splash of colour and personalisation to the ownership of its fortwo models with the launch of an exciting new product design service in conjunction with performance and styling specialists BRABUS. 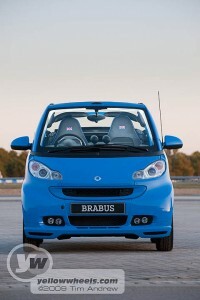 The smart BRABUS tailor made concept which is being officially launched at this week’s Frankfurt Motor Show, will enable owners to design their own smart car from an array of special colours and bespoke interiors that will create thousands of combinations to choose from. As part of the service, customers will be able to specify their car’s body panels and tridion safety cell from a palette of 18 vivid colours – each with a supercar/heritage theme. These include the vibrant Campbell Blue, which pays homage to the iconic Bluebird land speed record cars built and tested at Brooklands, the home of Mercedes-Benz World. Interior detailing on items such as the door handles, instrument cluster, dials and light/wiper lever will also reflect the exterior colour chosen. There will be six tri-top roof colours to select from too, as well as nine leather/Alcantara upholsteries, which will feature in the seats and other areas including door panels, upper dash and in the floor mat edging.